Manchester United v Newcastle United – Match preview. | NUFC Blog. Manchester United v Newcastle United – Match preview. Old Trafford - Mission impossible? It will be a tale of two United’s on Monday evening as Newcastle return to top flight against Manchester United at Old Trafford. The task couldn’t be anymore daunting to be honest as our record at Old Trafford is less than impressive, in fact the last time we managed a win there was in February 1972, before I was even born! Most Newcastle fans are resigned to defeat before we even kick-off, which is not being negative and is more a positive reflection on just how illustrious our opponents are. Not many teams go to Manchester United and come away with anything, and that applies all the way through the league, from top to bottom, and whilst a point would be nice it will be the performance that most fans will be looking at. Manchester United will be missing Rio Ferdinand, Owen Hargreaves and Anderson who all have knee injuries, but with the squad they have I very much doubt they will be missed too much. Wayne Rooney will more than likely start the match as he looks to recapture the form from last season that appears to have deserted him, and given the fact that Rooney has scored ten goals against Newcastle in his career then there is probably no better team for him to try and do that against. Moving on to Newcastle, Andy Carroll has been passed fit for the match at Old Trafford and should lead the line of attack for us, with Kevin Nolan more than likely playing in just behind him. Steve Harper; James Perch, Mike Williamson, Fabricio Coloccini, Jose Enrique; Wayne Routledge, Joey Barton, Danny Guthrie, Jonas Gutierrez; Kevin Nolan, Andy Carroll. In our last match at Old Trafford we managed a rather creditable 1-1 draw, although that positive start soon got left behind and we were unfortunately relegated at the end of that campaign. Another 1-1 would be nice, although the stats suggest that we will more than likely suffer a defeat. Manchester United have won 12 of the last 15 games between the two sides whilst Newcastle have only managed to score 9 goals in their last 16 league visits to Old Trafford. Neither stat is very impressive from a Newcastle perspective in fairness. Newcastle have had some proper hammerings off Manchester United over the years including a 6-0 loss not so long back. Whilst I don’t think we will lose that heavily on Monday I do believe, unfortunately, that we will get beat. My prediction: Man Utd 3-0 Newcastle. Date – Monday, 16th August, 2010. 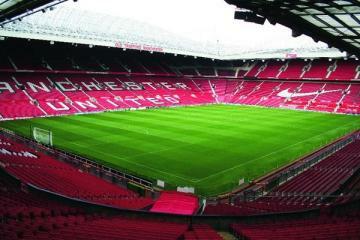 Venue – Old Trafford, Manchester. Manchester United vs Newcastle United preview and match banter! Manchester United vs Newcastle United preview – Pardew banking on Colo return? Manchester United vs Newcastle United match preview. reports are rooney’s struggling. picked up hamstring injury. Have you seen West Brom’s next few away games? Still got Rooney and Nolan to play, should be top of the league Monday night, all I hope is if we do lose, we don’t get stuffed. 2-1 defeat imo,lets just give good account of ourselves,and if ir when we concede ,dont crumble like west brom did yesterday . I’ll probably go to bed after the third goes in. Been having a look a what we might need to do this season to stay up. We’re going to need 40 points to be absolutely sure. That means we need a minimum of 10 wins at home, who can we beat at home? Blackpool, Wolves, Blackburn, Stoke, Fulham, Wigan, Bolton and West Ham? Them are the games I’m confident we can win at home – That’s only 8! Were going to have to pick up points away from home too and I’m not too sure we will. My opinion is that our squad has loads of heart, passion, grit and determination – But that doesn’t really win you too many games when up against decent opposition. We lack skill, pace, creativity and proven PL class. I actually think that some teams like WBA could make us look ordinary with their passing ability and our lack of pace. If that happens, god knows what the top 8 teams will do to us. Aye drogba done well for me too, glad I made him captain, isn’t fabragas injured? Well I suppose if fergie thinks he needs to play mind games with us its a bit of a compliment. Thinking about some of yesterdays games,I don’t think thats its any coincidence that the teams who looked the most impressive chelski,spuds & villa have hardly changed over the summer. I’m not sure how to explain blackpool tho, except that wigan were terrible. Appreciate fans might want an attacking keegan type display tomoz, I’d settle for a solid defensive display. Stu – take it you didn’t watch the mackems & brum game? whey I’m off to watch some real mens football.later lads. Us Toon fans need to get used to seeing us playing defensively this season, playing on the break. We don’t have the personnell to do anything else.. I did, and they were battering Brum until Cattermole got sent off. For the first time in 15 years I don’t feel confident playing the Mackems. I think they have a better team and it will be tought. Any word on ben arfa? Look what blackpool did to Wigan,Never doubt anyone in this league and it means no one.Fergie will go into cocky….. thinking that he can run us of the park,If this happen and we get a goal in that period they will go into shock and hopefully we can take the game into ur hands ! Realistically? Settle for 2-0 defeat, no injuries, no sendings-off and a good performance. Why is everyone doubting us so much for ? just in on sky sports! what we already no already but BEN AFRA says he will not play for om and is willing not to play for the rest of the season to force a move to newcastle! newcastle have shown that they want me so….. looks like that crazy frog guy is a fraud and he was wrong on eds blog too! No no nooo, I never said that. Nick – You being serious?? Stu – you might be right about the mackems, but brum? Really don’t think theres much to choose between 11/12 teams & we’ll get at least 1 win out of the rest. Ben dover – fair enough, the baggies were terrible but I thought cheski looked good. Maybe they’ll struggle against top teams but thats going to effect us is it? Nick – don’t quite get the last bit of your post? Do you mean that afra was never here? All the lad said on ed’s blog was he was at the hotel & left in a people carrier. ha classic…really beginning to wonder if he’s gonna be worth the trouble though…..
“It’s because the club officials don’t give a damn about me that today I announce that I am prepared to put my career on hold if they do not accept the offer from Newcastle as agreed at the start,” he said. sell taylor imo,from one sly agent to another hes not mr newcastle its a new world on contracts club must put clauses in. who the hell is crazy frog? Rooney will have made a miraculous recovery and bang in a hat-trick, totally recapturing his best ever form. I refuse to belive all this about world cup and hamstring ect. He always has a blinder against us lads you could bet your last tenner on it. Positivity must course through your veins then ? Better teams than us have had a good hiding at OT and this is probably the worst side we’ve sent there in the last 25 years. I think the team we played when Rooney scored that rocket was possibly worse. And, we played really well that day if I remember correctly. For there’s only one ‘United’ and it’s NUFC. U N I T E D…!!!! OK this current squad isnt going to pull up many trees in terms of European football but FFS we must all learn how to walk again before we start running in the PL. We did what we had to do as a result of the character within the side. This season will be no different. Not only do we need positive mental attitudes within the squad – eager to right the wrongs of their previous lives – we also need the fans on board to show that we’re all in this together. The Barclays English Premier League (EPL), considered as the best in the world. Manchester United vs.Newcastle United both team is very purpler of the soccer world. New signing Javier Hernandez, nicknamed ‘Chicharito’, scored after coming on at half-time at Wembley against Chelsea in last Sunday’s Community Shield, but he may have to start on the bench with Sir Alex Ferguson likely to prefer the more experienced Michael Owen, once of Newcastle, and Wayne Rooney in attack. Newcastle returned to the Premier League at the first attempt when they won the Championship with 102 points. But they will be mindful that they have not beaten United since September 2001, when they won 4-3 at their home of St James’ Park. Since then the teams have met 15 times in the League, with Manchester United winning 12 and drawing three. Their last success there was in February 1972 in the old First Division. Since then, the Toon Army have visited on 26 occasions, losing 19 and drawing seven. And in those 26 games, they have scored just 16 and conceded a massive 60. Manager Chris Hughton has made three signings: James Perch, from Nottingham Forest, Everton’s Dan Gosling and former Tottenham and Arsenal defender Sol Campbell, but he is not match fit and will not feature at Old Trafford. And Hughton will also miss important players such as Leon Best and Alan Smith – once of Manchester United – along with Danny Simpson, another ex-Old Trafford player, and Steven Taylor.